I’ve abhorred the term crossover for years. It’s so gelatinous and non-descript. Almost anything can be a crossover. 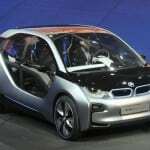 And when is it actually an SUV? 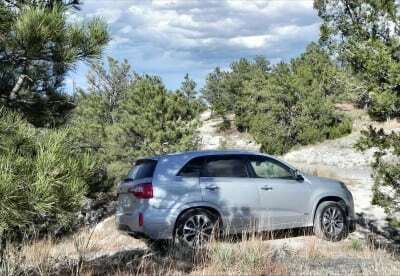 What makes it a compact crossover or a large crossover, and isn’t a large crossover just an SUV? Not to mention some crossovers are really just glorified vans. Ugh! Okay, I’m on the verge of a Lewis Black-like rant here, so let’s get back on point. My tester this week falls into the crossover category. And while that may be non-descript, the 2015 Kia Sorento is best described as a family vehicle, whether that means it’s a crossover or an SUV. 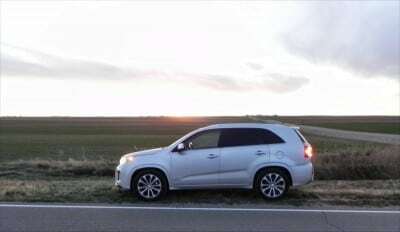 And in the world of family movers, the Sorento is fantastic in many regards. On looks, the Sorento is mild-mannered. Lacking garish styling or bold looks, the Sorento has been labeled by some to be less masculine, and a little feminine in its styling. That’s not necessarily a fair comparison, and one that gets tiring in general. 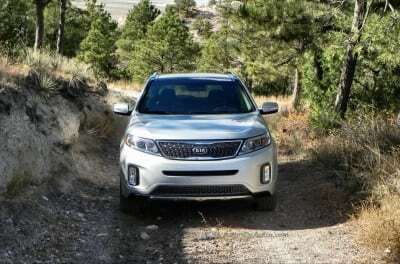 No, the Sorento doesn’t have an aggressive posture and its “in between” size means it’s not bulky like a full-size SUV, but is still bigger than a small crossover. The “tweener” nature of the Sorento makes it hard to label. The Sorento is offered in two different engines. 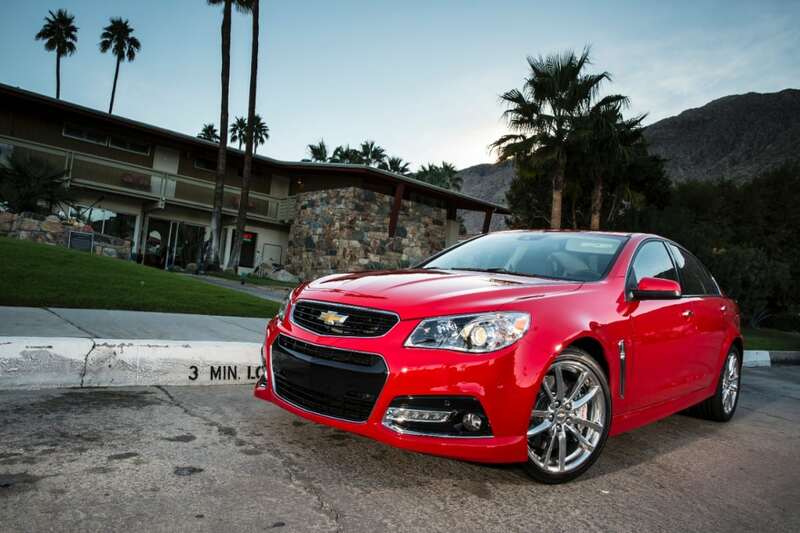 The base engine is a 2.4-liter, four cylinder that produces 191 horsepower. 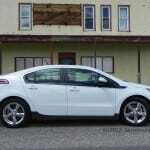 Thankfully, my tester came with the optional 3.3-liter V6 engine that makes a much better 290 horsepower and 252 lb./ft. of torque. 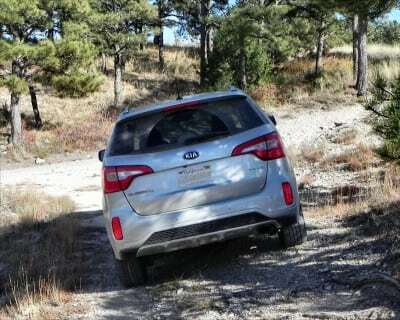 Other reviews of the Sorento have had issues with the underpowered performance of the four-cylinder engine. 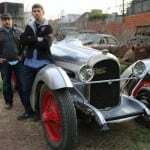 I found the V6 engine to be well powered both off the line and in all driving situations. 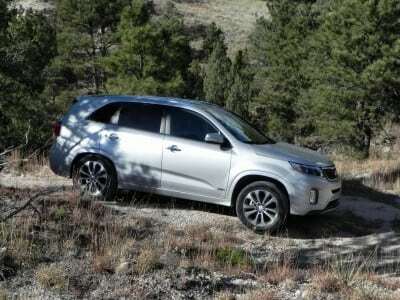 The V6 Sorento has a 0-60 time of 7.5 seconds, which is fast for the segment. 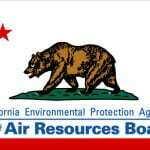 At highways speeds and higher RPMs, the engine does create a higher amount of road and engine noise. 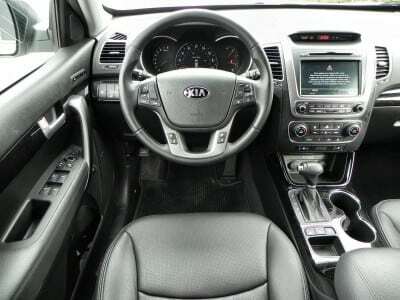 A six-speed automatic transmission throws around smooth, gentle shifts. 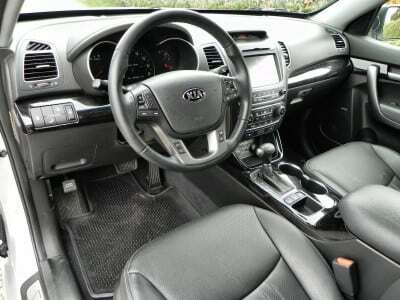 Inside, the Sorento offers plenty for everyone (mom, dad and the kids). 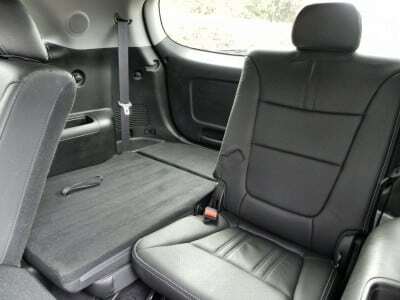 Interior space is well organized and offers a minivan-like view of the road from the front seats (this is a positive feature, not a negative for the record). 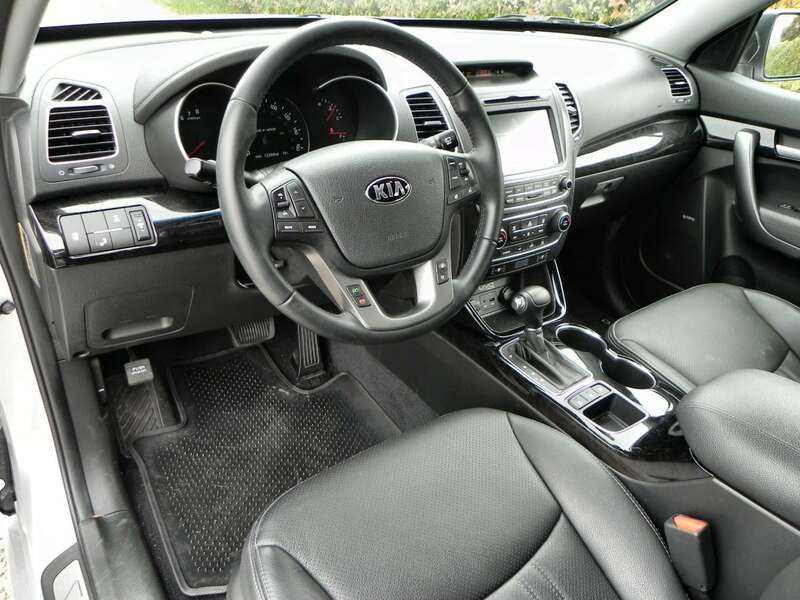 One of the best features of the Sorento is the third row seating. The seven-passenger capability makes it quite versatile for families. 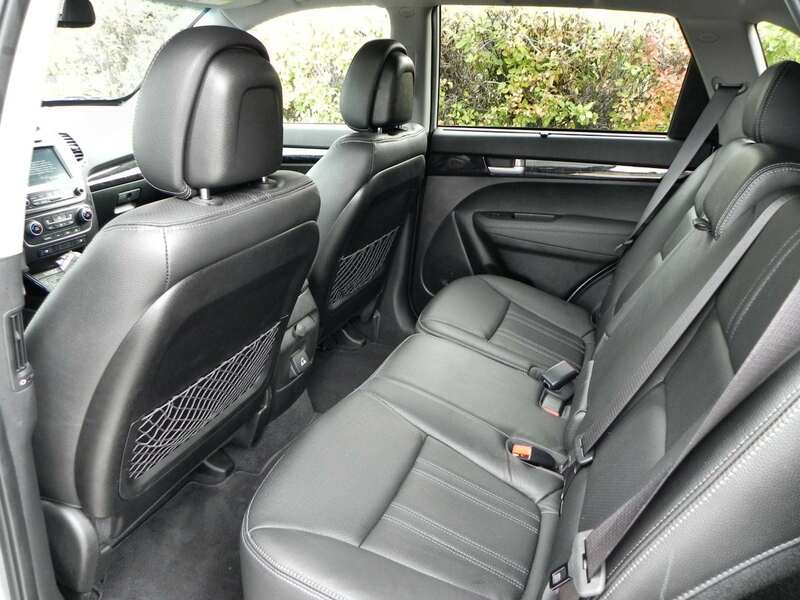 Adults will have plenty of legroom and headroom in the second row, but only children and small passengers will be comfortable in the smallish third row. But, at least there is a third row option. 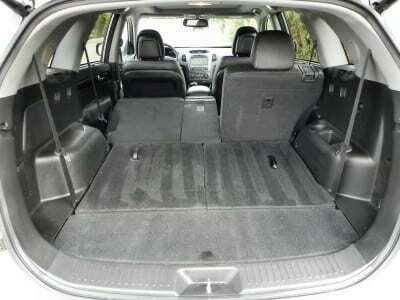 And despite that third row, cargo space is not limited. There is 39.6 cubic feet of cargo room behind the third row and a vast 72.5 cubic feet of space with third row folded flat. Ample technology can be found inside, including an 8-inch touchscreen that controls the infotainment system. 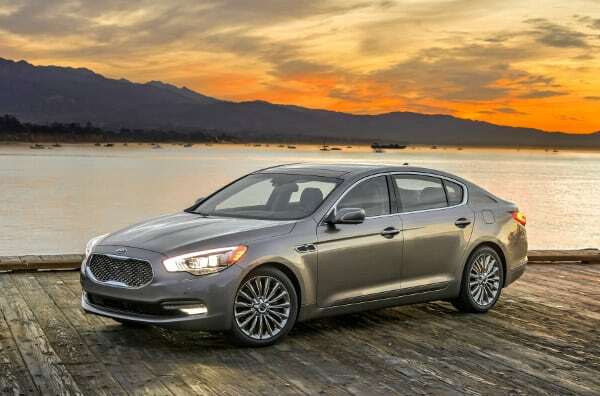 The overall graphics for the navigation system and infotainment are bright and aesthetically pleasing and the system is intuitive and easy to navigate. If fuel economy is your sole reason for purchasing a vehicle then the four-cylinder engine with front-wheel drive is the best option. 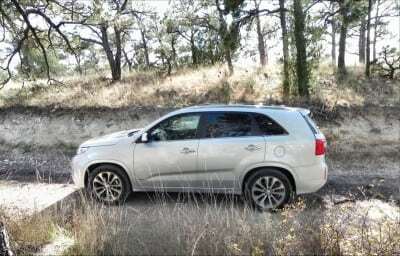 The FWD, 4-cylinder Sorento has a combined EPA estimate of 23 mpg. 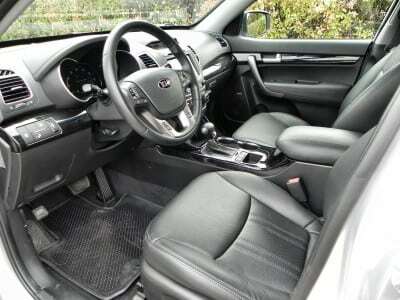 My tester had the more powerful engine as well as all-wheel drive and had average fuel economy. The AWD V6 Sorento has an EPA rating of 18 mpg/city and 25 mpg/highway. In a week’s worth of driving, I got closer to the low end than the high end with a 20.1 mpg average in mixed driving conditions, including some snow-covered roads. 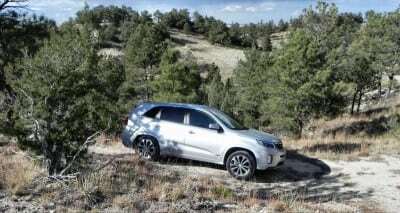 The Sorento handled itself nicely in the wintery conditions however. Available options and trims are plentiful. 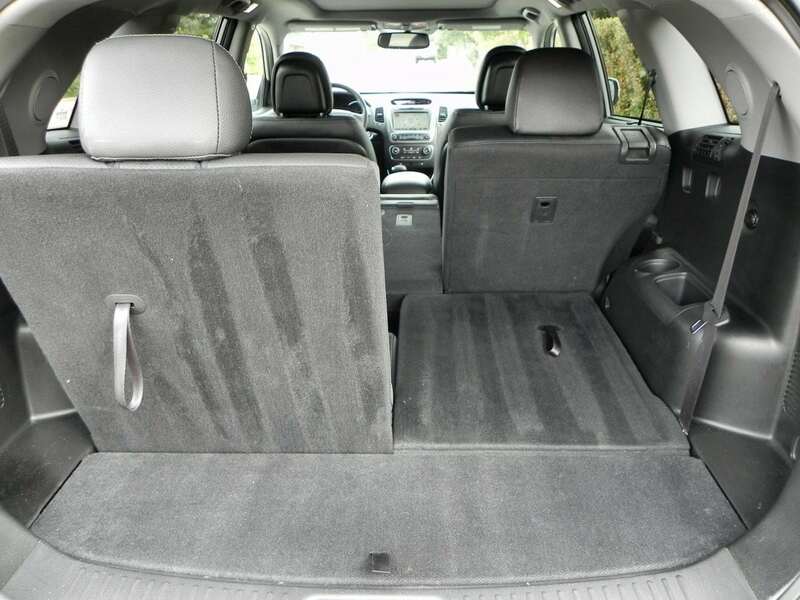 With both five and seven-passenger capability, there are four main trim offerings. 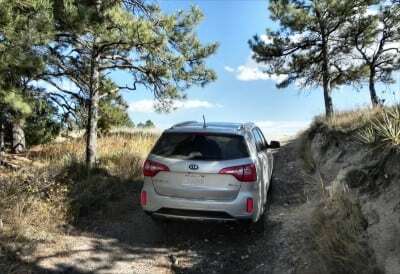 The base LX trim has a starting price in the mid $20s while my tester, the top-of-the-line SXL with all-wheel drive had a final MSRP of $39,900. It’s this kind of versatility that makes the Sorento special. 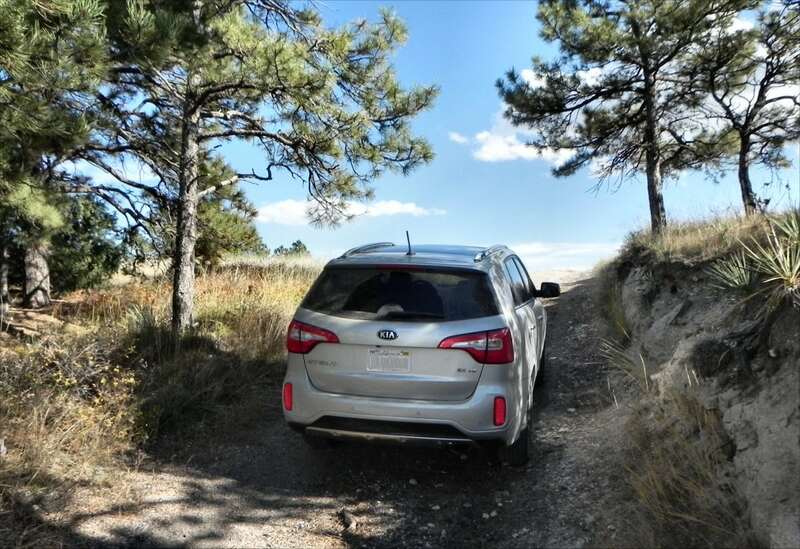 Whether you need a five-passenger crossover that is affordable and reasonably fuel efficient, or a seven-passenger family vehicle with power and all-wheel drive, the Sorento fits the bill. It’s quite the chameleon!